At 20/20 Visual Media, we work very hard to keep our clients and friends informed about what we do and how we do it. We really enjoy opportunities to speak in front of fellow business owners, professional organizations, and college students. When we get those speaking opportunities, we often field similar questions. So we've compiled a helpful list of FAQ to help anyone thinking about teaming with 20/20. 1. How much would it cost to do my project? This is definitely our most frequently asked question. It would do a disservice to our clients for us to provide blanket quotes for each project we get approached with. It truly depends on the scope of your project, the time commitment we will have to make, and the level of our team’s involvement. (For example, we’re not going to quote you for a scriptwriter if you don’t need one). Get in touch with any of us by phone at 267-639-6515 or by email at info@2020visualmedia.com. Give us as many details as you can, and we will provide a specific quote, usually within 24-48 hours. What we can tell you is we typically price our work by the half-day or full-day. For example, a half-day shoot lasts up to five hours, whereas a full-day shoot lasts up to ten. We are more than happy to provide a solution that meets your budgetary needs, and we offer bulk discounts for large volumes of work. a.) First, our founders Rob and Patrick met each other at Temple University’s Klein College of Media and Communication, which is housed in Annenberg Hall on 2020 N. 13th Street in Philadelphia. b.) We figured it makes sense that our company would hit its stride by the year 2020.
c.) Finally, there is always the play on 20/20 vision. And this company is our “perfect vision” of what our video production company should be. But all of those things are just coincidence, because it really came down to just picking a name off a piece of paper. Patrick and Rob got their big break covering basketball for their alma mater, Temple University. Their weekly, 30-minute TV show on Comcast SportsNet would help them launch 20/20 Visual Media. Our co-founders, Patrick and Rob, caught a very lucky break. 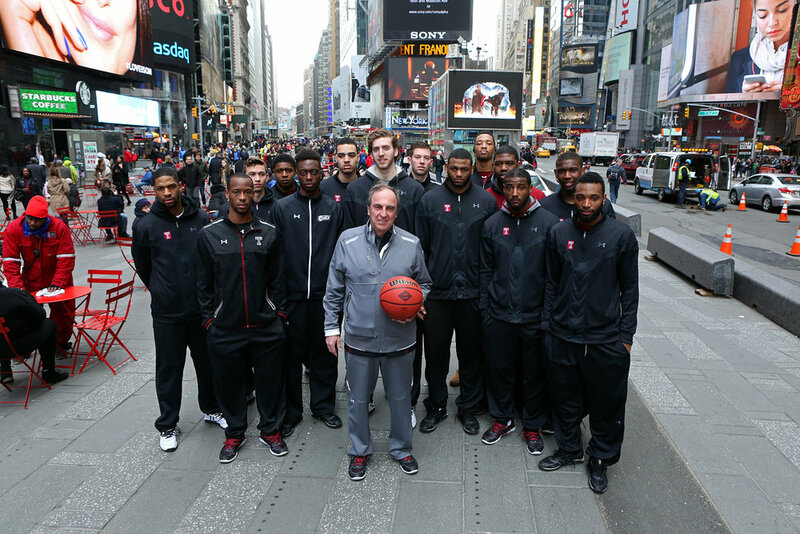 As college students, they covered Temple University’s football and basketball teams. Along the way, they developed relationships with the athletic department and it just so happened that when the two were ready to leave college, the athletic department was looking for a new production company to produce its behind-the-scenes TV show. Enter 20/20 Visual Media, a company created because there was an immediate need for one. Truth is, Patrick had always wanted to own his own company, but figured it wouldn’t happen for many years. But when the opportunity is in front of you, you take it. Since then, the company has been nominated for 10 Mid-Atlantic Emmy Awards for the production of that show and was named to the 2018 Philadelphia 100, as the 31st fastest-growing privately held company in Philadelphia. We also team with dozens of organizations in the greater Philadelphia area and beyond to create marketing and branding videos for a variety of platforms. 4. What equipment do you shoot and edit on? Technology is constantly evolving, so we are always looking ahead at the newest camera or gadget we can add to our arsenal. Having said that, we're big Canon nerds, and we currently shoot on Canon’s Cinema Series cameras, the C300 Mark II and C200. We edit the majority of our projects on Adobe Premiere Pro and After Effects, working in Adobe’s Creative Cloud suite. 5. Can you make a commercial for my company? Yes! Commercials are just one part of what we do at 20/20 Visual Media. To date, we have produced television spots for companies such as Temple University Athletics, the Elmwood Park Zoo, Beaumont at Bryn Mawr, and the Philadelphia Federal Credit Union, to name a few. But remember, commercials aren’t just for TV anymore. We have produced countless “commercial” campaigns for websites, social media, and digital marketing. 6. How do you put together a story? This is the fun part. Every story is different, and we pride ourselves on making sure each story is told differently through our process. But that takes a lot of work. It helps that our team is full of creative people who each see, hear, and consume things differently. When we begin crafting a story, it starts with research. Who are we talking to? What’s their background? What images can we capture to support their narrative? Then we figure out how we want to present our story: is it through text and imagery? Is it through on-camera interview? Is it a script and voiceover? We figure out the best way to communicate our client's message and go from there. Finally, our videographers and editors carefully craft each shot and edit so the video has the perfect style and pace, remains engaging, and most importantly – solicits a response from the audience. 7. What’s the most challenging thing about running a small production company? The challenge is just what you’d think it would be: we do everything that goes into running a video production company. We do the physical work (the writing, the shooting, the editing, etc. ), but we also do the work associated with the business side (the bookkeeping/accounting, the contract writing, the scheduling, the marketing, the web design, business development, and much, much more). While that may sound daunting, it’s also what we love the most. This company is what we make of it. Without our passion, energy, and dedication, we would not succeed. And we will do whatever we have to do to continue to do what we love, grow, and be successful. 8. Do you offer in-kind or pro bono services? Yes! We are Philadelphians and we love the city we live in. We are dedicated members of the community and we love to give back when we can. From time to time, we will offer in-kind or pro bono services in exchange for sponsorship opportunities, professional connections, or when it makes business sense. Obviously, we can’t always offer pro-bono work otherwise we wouldn’t be in business for much longer, but if we feel as though it’s the right situation, we’re happy to talk about it. 9. Do you travel for shoots? We will go anywhere there is a story to tell. In our 7+ years, we have traveled literally all over the world for our clients – from Paris to Rome, to Puerto Rico to Portland. More recently, we have worked in New York City, California and Texas, so we’re more than happy to hop in a car (or plane) to do our jobs. 10. Do you accept internship applications? Yes! We do accept internship applications, but they must be for college credit only. We do not accept interns who are not currently enrolled students. We typically offer internships in the fall, spring, and summer semesters. Please click here for more information. Unfortunately, we do not currently have any full time openings, but as we continue to grow, we will look to team with dedicated, passionate storytellers whose vision for personal and business growth meets our own. Check back on our Careers Page often, as we will post any openings for full time, part time, and freelance/contract work there. 12. Why 20/20 and not another company? We really, truly pride ourselves on storytelling. Many companies will tell you that, but then produce a video they’ve done a thousand times. We are not a cookie-cutter company. Each and every video we produce is unique to the client, unique to the individual story being told, and unique to us. The reason we are able to achieve that is because we offer our clients personal attention. That’s the benefit of being a small company. Each client we work with is getting the attention of our entire dedicated staff. We collaborate with you to determine your goals and figure out how to achieve the results you are seeking. And from the concept stage to the time we deliver the final product, we team with you to ensure you are a receiving a professional, beautiful product that is entirely your own. Not many companies deliver on that promise. We do. Older PostOur New Showreel is Here!